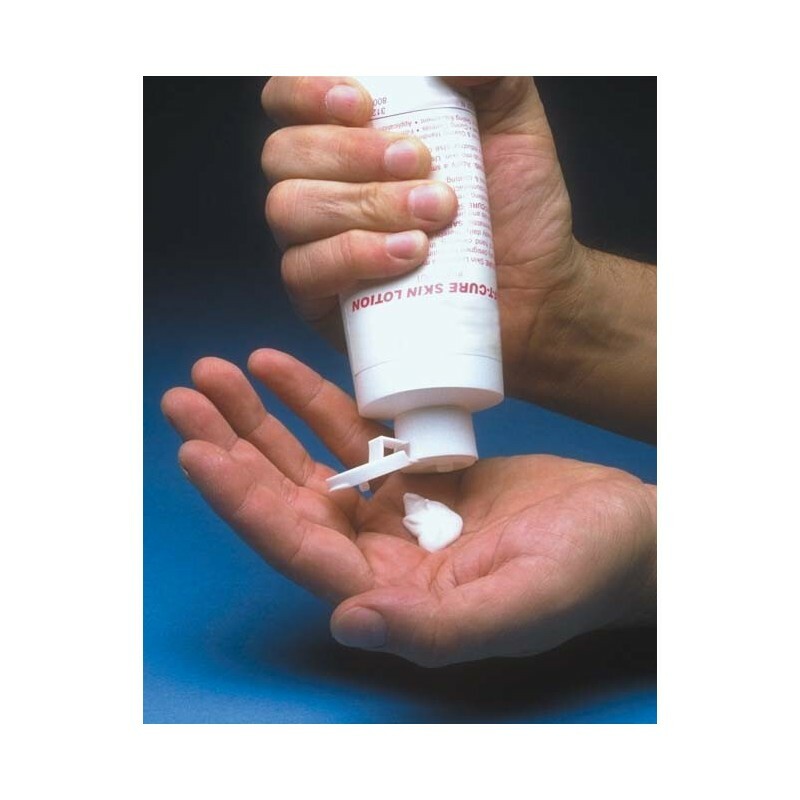 SAF-T-CURE® UV SKIN LOTION completes the cycle of hand protection. It is a modern skin conditioner specifically designed for routine daily use. With the frequency of hand cleaning, the skin's natural oils are washed away daily leaving the skin vulnerable to dermatitis. UV Skin Lotion replaces lost oils and prevents cracking and drying of the skin. This skin lotion contains emollients in a neutral vanishing cream base. It also contains a special additive to counteract irritation caused by most UV/EB materials. Sold individually in 8 oz bottles or 16 bottles/case.